In point number two, you state that. The goverment would pick up the slack for “religiously affiliated nonprofits.” Isn’t Hobby Lobby for profit? Yes, of course they are. 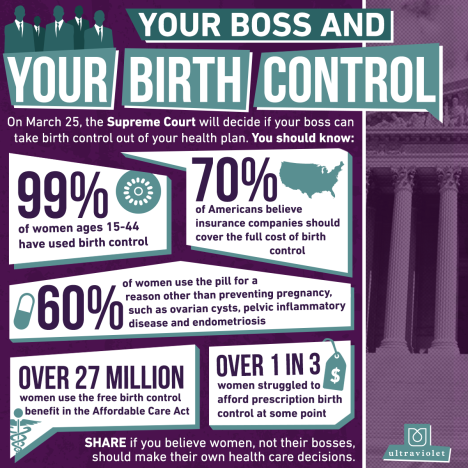 The Supremes merely suggested that this program although originally intended for non profits only could also be modified to apply to the employees of closely held corporations (like Hobby Lobby) as well. The court has already broadened the scope of this ruling in a further ruling. The biggest fear of many is that this ruling is pro-Christian. What happens when another religion wants to apply this in other ways? Also, apparently, there are very many “closely held” companies, considering that even many large companies have single owners, no stock holders.